Dr. Eleni Coundouriotis, "The People’s Right to the Novel: War Fiction in the Postcolony"
I sat down with Professor Eleni Coundouriotis a few weeks ago to discuss her most recent publication, The People’s Right to the Novel: War Fiction in the Postcolony. Eleni Coundouriotis is a Professor of English and a faculty affiliate of the program in Comparative Literary and Cultural Studies. Her book is a compelling scholarly work that explores the influence of the Bildungsroman literary genre within the African context of the war novel genre. Our discussion below sheds light on the author’s various inspirations, takeaways, and hopes for her greatly influential literary contribution. Johanna DeBari: What was your motivation in picking this subject matter as your project focus? 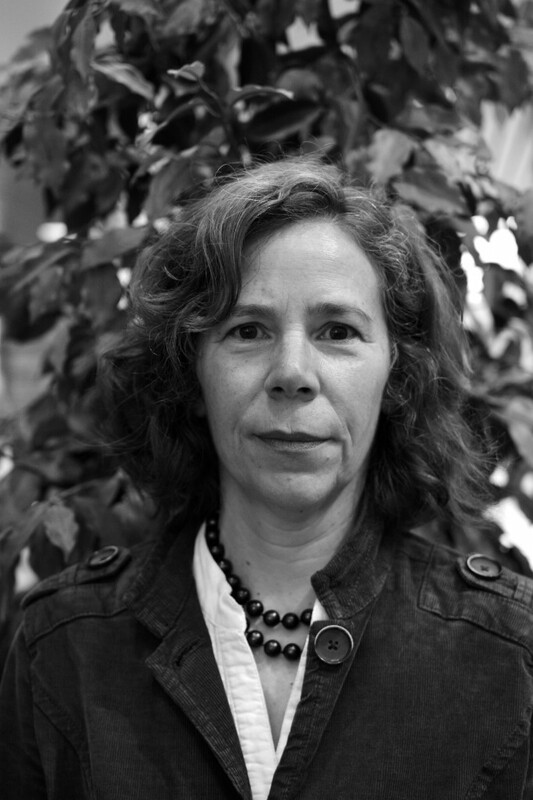 Professor Eleni Coundouriotis: Well, actually, when I started working on this project, I thought of it as the project that wasn’t necessarily going to be a human rights project; it was going to be a study of the genre of the war novel and the study of war fiction in Africa in comparison to the Bildungsroman. The Bildungsroman is the genre of the novel of education. Historically, in African literature, it frequently describes the process of education in the colonial culture. This process entails a young person growing up, passing through a process of education, coming to some type of disillusionment in young adulthood, and then settling in a path of life that is perceived as a compromise of sorts. In terms of the historical context, the genre charts the assimilation process of the colonial subject. My project contrasts the novel of education to a popular form of literature that focuses on war, which has not been read as widely outside of its various national contexts. With my interest in human rights, humanitarianism, and also war fiction, I offer a literary, scholarly perspective on the African war novel. This book attempts to intervene in its field by rewriting the history of the novel in Africa by focusing on a genre, the war novel, which is very concerned with inequality. I found through reading these novels that their writers, although habituated to a privileged position in society, were forced to recognize a new precarity. They realized they are not really the ones in power and are not the ones making the decisions in their countries and are politically vulnerable. This realization provides an opening to identify with the people, or the peasantry: the rural, less educated population which suffers invariably the worst of these wars. The novels frequently dramatize the way the educated class attempts to bridge a very significant social gap between it and the people, which had been exacerbated by colonialism. Interestingly, the figure of the journalist is often used as the mediator. A hopeful undercurrent of the literature is the identification with the people and the attempt to speak for those who cannot speak for themselves, a basic tenet of the humanitarian project. Johanna DeBari: It seems like a very important social awakening of sorts. I’m thinking, though, shifting from recognizing where that narrative comes from to what these narratives reflect: Since African cultures are typically associated with a more collective identity, is it a bit ironic to see this genre of literature appearing so greatly focused on the individual experience? Professor Eleni Coundouriotis: I think we should move away from this traditional and non-traditional dichotomy. We have a stereotype of African cultures being more collective and less individualistic. Thinking more along the lines of the narratives of the Bildungsroman, the education of the individual subject was also a complex process of acculturation. The genre itself provided a fruitful exploration of identity, especially for women writers. Sometimes there is overlap between the war novel and the Bildungsroman, when the experience of war is perceived as the education of the young man. He is separated from his family and then must be reintegrated into the family post-war, while being viewed as a deracinated subject who has done terrible things. The young man still holds expectations of being able to return to his family and be emotionally supported so that he may get a job and fulfill his purpose within the community, but this transition is usually very difficult. Johanna DeBari: Is there any sense of patriotism associated with the war narrative? I’m reflecting on your comments from an American perspective in which we see men and women come home from service. Most people would say “thank you for your service and we’re so grateful that you have more or less gone off and done these same terrible things,” but in the name of protecting our country and saving the sanctity of our moral values. So I’m wondering if you saw any of that come through in your reading and analysis? Professor Eleni Coundouriotis: I think the historical context is important here. The bulk of the book focuses on three case studies: the Mau Mau rebellion in Kenya, which was an anti-colonial war; the Nigerian Civil War, which was an attempt of the eastern part of the country to split away from Nigeria and become the independent nation of Biafra; and finally, Zimbabwe’s war of liberation, which is a more complicated anti-colonial war. So, yes, in the anti-colonial and war of liberation efforts there is a sense of African nationalism, of Africans fighting against the colonial powers, or white settler rule in the case of Zimbabwe. In the case of Nigeria, you have Biafran nationalism that emerges as a separatist movement. But the unity of the nation here in the United States, which is a nation that has had a long history already and fought its own civil war, is much more established. When an American soldier goes off to war with 250 years or so of history behind him since independence, it’s extremely different from the very young post-colonial nations for which the notion of nationhood was still very tentative and fragile. Johanna DeBari: What is some of the critical feedback you have received on the book? Professor Eleni Coundouriotis: One corrective that the book attempts to offer is that after the wars in the 1990s (Liberia, Sierra Leone, Rwandan Genocide etc.) there had been an explosion of war writing and some of it was marketed in the US to popular notions identifying Africa with all of this dysfunction and violence. I think one of the things people in my field are responding to in this book is its historical scope. It tries to give a history of the texts from the 1960s, ‘70s, and ‘80s because these say that the genre didn’t just emerge from the 1990’s wars but has something more complex to show about postcolonial Africa. Since these earlier novels can’t be easily taught (because of difficulty in accessing them), you really need to go out of the way to read them and be willing to do the leg-work to go through the vast amount of literature. In addition, because the book is engaged in human rights and humanitarianism, but it is not uncritical, it has gained some attention for its argument about literature and human rights. I hope that the four motifs I offer as a guide through the literature can travel beyond the book and be identified in other contexts of war writings. These motifs are: the “song of my country”; the male warrior personified; the ordeal in the forest; and the eternal landscape. These motifs offer a certain explanatory power that eventually, if you read enough, gives you a sense of this all belonging to a body of literature that has meaning as a sustained conversation about humanity’s experience of war. Johanna DeBari: In the future, do you plan to continue this specific project or do you think you’ll move on to something completely different? Professor Eleni Coundouriotis: I’m working on a couple of different things. One of them is an expansion of this project and writing something that is on the genre of the war novel in different contexts beyond Africa. The title I have right now is, “Decentering the War Novel”; so, going beyond the American and European war novel and looking at the world novel on war. And we are looking forward to new directions in her research.